“Still alive, but barely breathing.” If Mother Earth could speak right now that’s what she was going to tell us. From global warming to pollution to extinction of endangered species, We are all aware of this global environmental issues but are we doing something about it? Our world is dying, Are we not hearing her cry ?. Don’t we have eyes to see what has been happening to our world? The glaciers are melting, Polar bears and penguins are slowly losing their home. Terrorism attacks and Illegal logging are destroying are forest. Population growth has been expanding and expanding while our natural resources are deteriorating. Though technology has been a great help into our lives, sad to say its evolution is slowly weakening our planet. The pollution has now become worse from light pollution, air pollution, water pollution, and noise pollution. The animals could no longer determine what’s real and artificial. Greenhouse gases could no longer escape the earth. Fossil fuels and Mines are depleting. Natural resources are being replaced temporarily by artificial ones. Need I say more or do you get the picture? We have destroyed our natural habitat. We are unconsciously killing our planet. 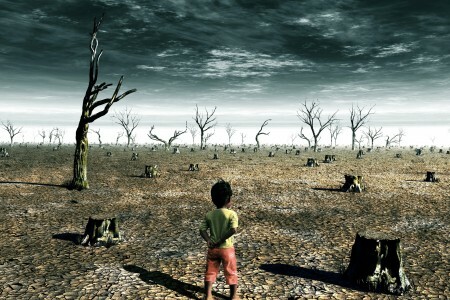 We have forgotten that killing our planet would mean killing ourselves. Can you just imagine what our planet would look like for our next generation, They wouldn’t have a chance to see what a clear water and clear skies would look like or what a green grass in the field and the calming breeze of soft winds and fresh air would be like. Won’t you just be sorry for them because they wouldn’t know what it feels like to go out and play under the sun all day long without the risk of getting stroke or a third-degree burn. Will you just pity them just because they wouldn’t know what a better world looks like just because we failed to preserve it for them. Do we really love our planet or do we just care for it? Because loving and caring are two different things. We love because we care but when we care it doesn’t mean we love. Love is a deeper emotion while care only involves concern. We should learn to love our planet if we want to make it a better place to live in. It’s not going to be easy saving our planet but together we can make a big difference. Small steps can lead to a bigger outcome. If we want to save the world then we must act now before it gets too late. Before the only word we could ever mutter to our world is Sorry. If you don’t want to do it for the world then do it for yourself. After all, You are what makes the world.